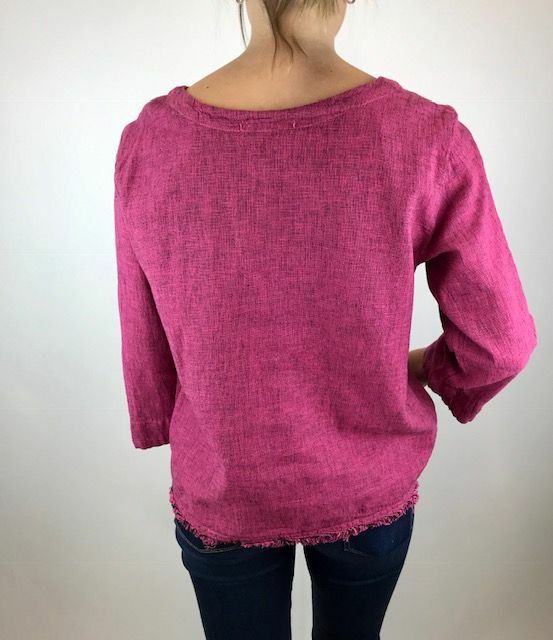 A shorter linen feel top with a rounded neck and fray edge bottom. 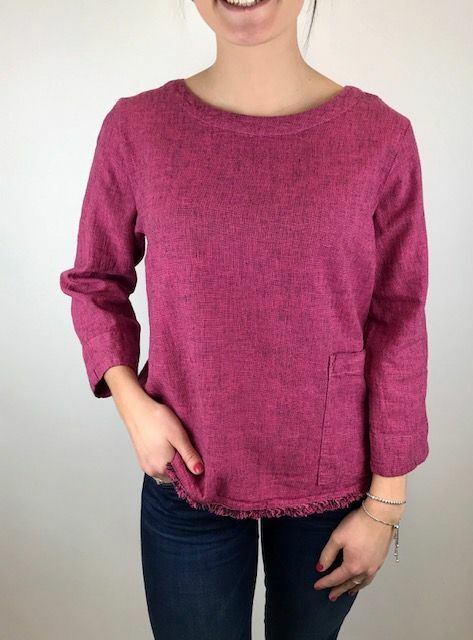 This piece has a front side pocket and 3/4 sleeves. This piece looks great with denim.